United British Caravans is 80 years old in 2018 and to celebrate the 80th Anniversary this brand new range of caravans from Bailey of Bristol has been selected as a Dealer Special. In 2018 United British Caravans celebrated 80 years of trading in Newcastle upon Tyne making this the second oldest Caravan Dealership in England. A lot has changed over the years, but the firm remains a small family firm with good morals and firm values. The business has been under new ownership since the General Manager Alex Levington took over the business a few years ago. This transition was made easier by the previous owner Tom Lambert staying on in an advisory role a for a while. Tom is a previous Chairman of the National Caravan Council and has been involved in the Caravan World since he was in short trousers. Since the introduction of Alex to the business things have stepped up a notch. The business is now a multi-franchise caravan dealer with Bailey, Swift & Elddis – the top three UK brands. There is also a larger range of used caravans held in stock. In 2016 the retail shop had a complete makeover and a second floor was added. This allows an even bigger range of caravan and camping accessories to be displayed as well as a whole host of caravan spares and outdoor furniture. There are tents and awnings on display indoors throughout the year from the top brands including Isabella, Kampa, Outwell and Dorema. The transformation has not ended. There is a new 10 bay workshop in the pipeline to help cope with the demand of selling hundreds more caravans each year. Annual servicing is essential to maintain a modern touring caravan, not only to keep the warranty intact but to ensure the safety of the family using the caravan. Most modern caravans have central heating systems like household systems and these must be kept in check. 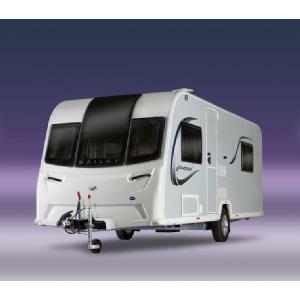 There are also more complicated electrical systems and various chassis upgrades compared to older caravans. Caravans are also often fitted with accessories such as motor movers, air conditioning and satellite systems all of which require professional attention from time to time. As part of the celebrations surrounding the 80th Anniversary, particular attention has been made to the all-new Bailey Phoenix launched at the end of 2018. 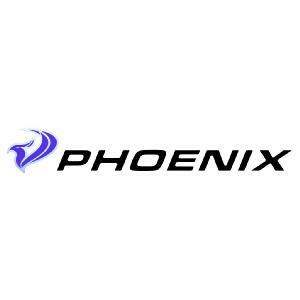 It has been decided to create an 80th Anniversary Edition Phoenix with a whole host of extras fitted at no extra cost to the customer. These include Al-ko Automatic Trailer Control (ATC), a 100W Solar Panel, Exterior Barbecue Point, Exterior Mains Socket, Bailey Branded Wheel Lock, Bailey Phoenix Dressing Pack (Scatter Cushions, Wool Throws, Extra Armrests & Washroom Carpet), plus unique 80th Anniversary Edition Graphics on the exterior of the caravan. This 80th Anniversary Edition caravan is exclusive to United British Caravans. To find out more about the 80th Anniversary Edition Bailey Phoenix give the sales team a call on 0191 2363156 or come and visit our dealership in Newcastle upon Tyne, just off the A1 at Gosforth. NE3 5HE is the postcode needed for Sat Nav.